Baiba Urka (Latvia, 1988) is a choir conductor and early music singer. 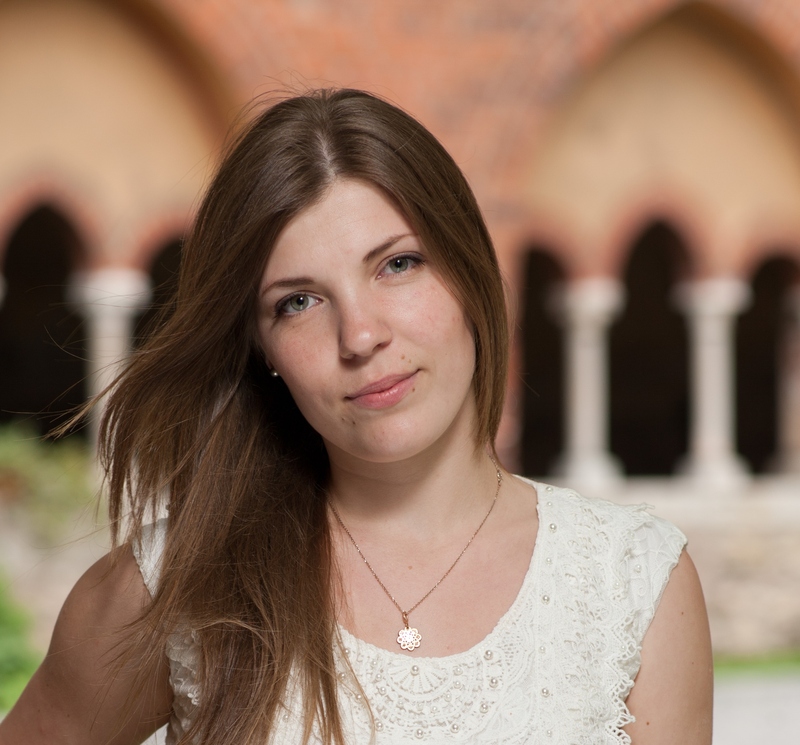 After attending choral conducting studies in Rezeknes Secondary School of Music, she graduated from the Latvian Academy of Music as a choral conductor in 2012. In 2014 she obtained a Masters diploma in Early Music Singing at the Jāzeps Vītols Latvian Academy of Music. In 2013/14 Baiba followed an Erasmus study year at the Escola Superior de Música, Artes e Espectáculo (ESMAE) in Porto (Portugal). As a singer, she has worked with several choirs and including Collegium Choro Riga baroque choir and the Portuguese Renaissance ensemble Arte Minima. At the moment she sings in contemporary vocal ensemble Putni and Vox Curoniae – which she co-founded – and conducts Baldone’s mixed choir Tempus.